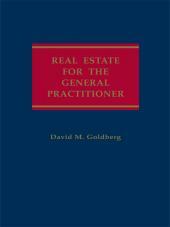 This practice guide provides attorneys with a comprehensive and current analysis of probate and estate planning and administration in the D.C. area, which includes the District of Columbia, Maryland, and Virginia. Virginia A. McArthur, Esq., principal of a three-lawyer firm, practices estates, trusts and probate law in the District of Columbia, Maryland and Virginia. Ms. McArthur, a graduate of Georgetown University Law Center, is a former chair of the D.C. Bar's Estates, Trusts and Probate Law Section, a past president of the Washington, D.C. Estate Planning Council, and a Fellow of the American College of Trust and Estate Counsel. 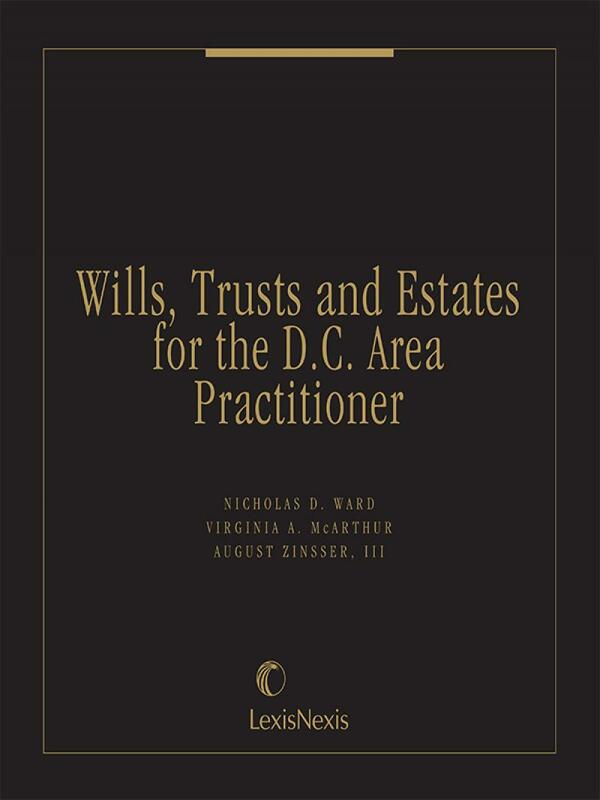 Nicholas D. Ward, Esq., a graduate of Columbia College and Georgetown University Law Center, served as consultant Register of Wills of D.C. in 1987-88. He has been an adjunct member of the faculty of the Columbia School of Law at the Catholic University of America and since 1975 a member of the Superior Court Advisory Committee on Probate and Fiduciary Rules. He is a fellow of both the American College of Trust and Estate Counsel and the National Association of College and University Attorneys. Law Office of Nicholas D. Ward, Washington D.C.
August Zinsser III, Esq. is the principal of A Z Trust Services, specializing in private trust and financial management services. He was formerly Executive Vice President of First American Bank of Washington. 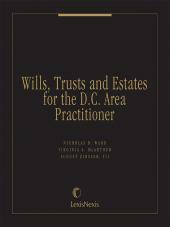 A graduate of Georgetown University Law Center and member of the District of Columbia bar, he is a past president of the Washington, D.C. Estate Planning Council and a co-author of Will & Testamentary Trust Forms, 1st and 2nd editions, and several books on trust services and management. 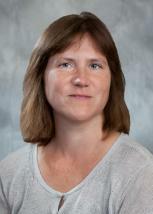 Molly B. F. Walls is Of Counsel at McArthur Franklin PLLC in Washington, DC. Ms. Walls is a 1983 graduate of Harvard University and a 1987 graduate of the University of Virginia Law School, where she was a member of the Law Review. Ms. Walls, who is admitted to the bar in the District of Columbia, Virginia, Maryland and New York, is a member of the Washington, D.C. Estate Planning Council. 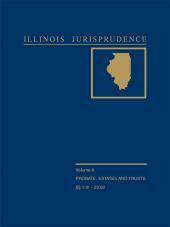 She has written and spoken on a number of estate planning issues. Michelle L. Evans, Esq., is a Principal at Offit Kurman, P.A., with offices in Washington, D.C., Bethesda, Maryland, and Tysons Corner, Virginia. 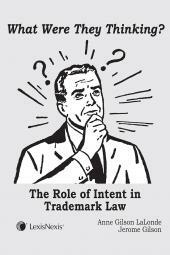 Ms. Evans is a 2006 graduate of Virginia Polytechnic Institute and State University and a 2009 graduate of the Washington and Lee University School of Law, where she was a member of the Washington & Lee Law Review editorial board. After graduation, Ms. Evans clerked for a federal magistrate judge in the U.S. District Court for the Eastern District of Virginia. Ms. Evans is admitted to practice in the District of Columbia, Virginia, and Maryland, and is also a member of the Washington, D.C. Estate Planning Council.